First post of the New Year to celebrate Harbor Beach. 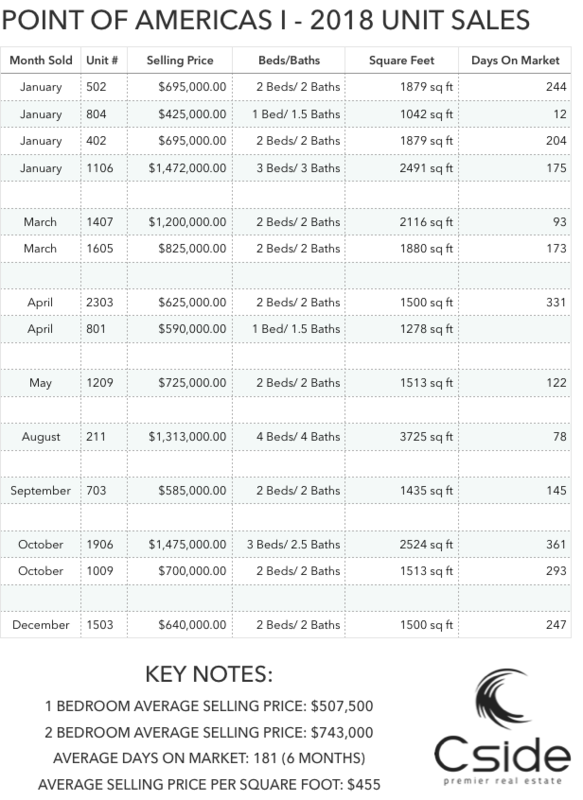 This one is a freebie for you Harbor Beach fanatics as most realtors won’t share this type of detailed information. Let’s see exactly what happened in 2018 in Point of Americas I. 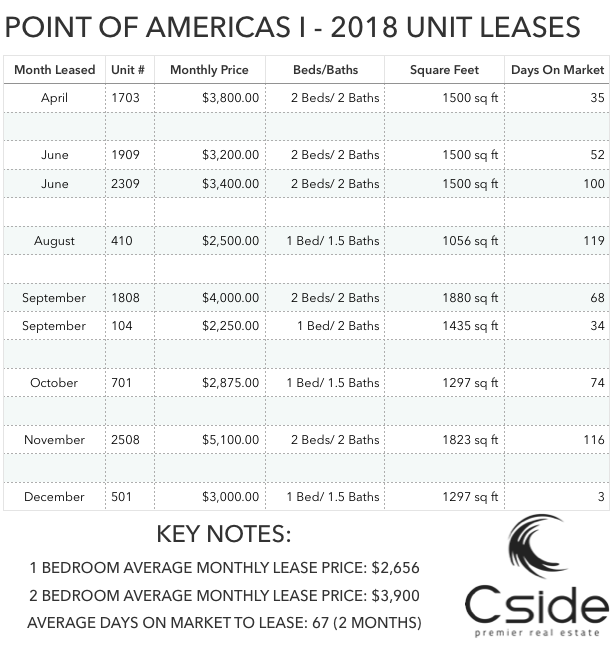 Here is a complete list of all the 2018 sales and leases in Point of Americas I condominiums located in Harbour Inlet – Fort Lauderdale, Florida. We did more for you than simply list all the sales and leases. We’ve broken down the key factors for you to assist in your decision to buy or sell. What’s our opinion? Call us for further details at 954-361-4558. Enjoy! The lists above are believed to be accurate but not warranted.